Happy Tuesday! 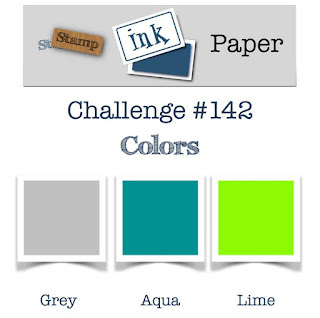 Stamp Ink Paper is back this week with a bright and fun color challenge for you! Did you survive the weekend?? We had a long weekend down in the southeastern corner of Colorado filled with movies, a rowdy game of Clue and a great time at Parrot Cove indoor waterpark in Garden City (that is in Kansas). Kids didn't want to go back to school after being off for a week, personally I am kind of ready for them to be home again. 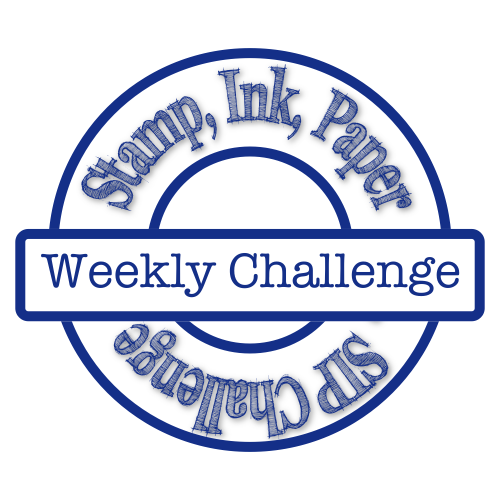 I love our colors for this weeks challenge. You can really do a lot with Gray, Aqua and Lime. Let me show you my card! My card started with a card base from the Sale A Bration Tutti Frutti Card Bases and Envelopes. I matted a piece of Basic Gray in a not so straight manner. I wasn't sure exactly at this point what my plan was, but after digging through my DSP stash I found this fun star patterned piece from the Bubble and Fizz also in the Sale A Bration catalog. This was adhered the opposite direction of the Basic Gray. I took my snips after stamping the sentiment from Birthday Wit in Smoky Slate and Lemon Lime Twist and cut the words out. Using the Star from the Mini Treat Bag Framelits, I cut three Magic Myths Glimmer Paper Stars and adhered them with Glue Dots on the card. Next I adhered the sentiment with the Mini Dimensionals. To finish this card off I added just a few of the Self Adhesive Sequins. Thank You soooo much for stopping by today! 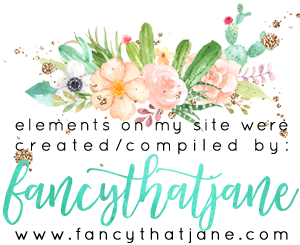 I can't wait to see what you create with these fun colors!